Wilbur Johnson, Jr. born was born November 23, 1936 in Columbus, Ohio to Wilbur Johnson Sr., and Fannie Walker. Wilbur graduated from North High School in 1955, where he excelled in academics and sports. After graduation he enlisted in the United States Air Force where he served for 11 years. Wilbur retired from Buckeye Steel Casting, North American Van Lines, City of Columbus. He joined St. Mark’s Lodge No.7 in 1970 and became P.M. in 1977. He is preceded in death by his mother Fannie Walker, father Wilbur Johnson Sr., and sister Rebecca Johnson Cook. He is survived by daughter, Jacquelyn Johnson-Byrd; sons, Jason Johnson and Jarrell Johnson; grandchildren, Dominique (Charles) Jones, Alyse Byrd, Jarrell Johnson and Jaiden Johnson; great-grandchildren Ta’Nijiah, Anthony, Ta’liyah Palmer, Kristian Mitchell, A’Mya Steward; brother, James Johnson; sister, Carol Alexander; and a host of family of friends. 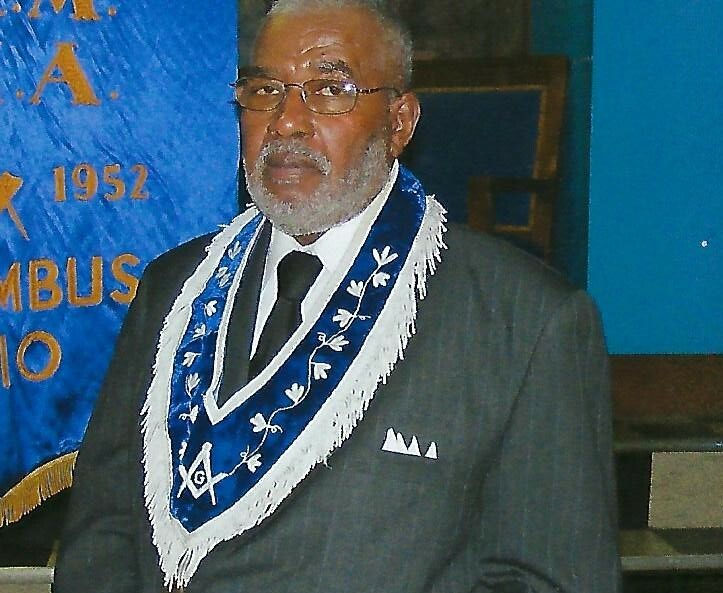 Family will receive friends Friday April 19, 2019 from 10:30am until time of Masonic Service 11:30am, followed by funeral service at 12:00pm. Services will be held at the Chapel of WHITE’S FUNERAL AND CREMATION SERVICES, 867 S. JAMES ROAD, COLS, OH 43227, BENJAMIN F. “BENNY” WHITE, JR, FUNERAL DIRECTOR, (614)947-1123, whitesfh867.com. Interment following at Eastlawn Cemetery.